On February 10, 2003, Curt Hennig passed away in his hotel room, just before he was scheduled to make an appearance at an event in Florida. Born in Robbinsdale, Minnesota on March 28, 1958, Curt grew up in the wrestling business as the son of the legendary Larry The Axe Hennig. He entered the American Wrestling Association in 1980, a company where his father had become famous in the 60’s and 70’s. After finding initial success during his first run in the AWA as “Cool” Curt Hennig, he journeyed to Portland. There, he captured the Pacific Northwest heavyweight title before departing for the WWF for short time to team with Eddie Gilbert. Hennig returned to the AWA in 1984. There, he would team with another future superstar, Scott Hall. Eventually the young pair would capture the AWA World Tag Team titles. With their youthful good looks, they quickly caught on with the fans of the Minneapolis-based promotion. As he later embarked on his singles career, it would lead him to a heel turn. A newer, more vicious Hennig would capture the AWA World Heavyweight Championship from Nick Bockwinkel in 1987, with the assistance of Larry Zbyszko. Hennig was AWA World Champion for a little over a year, before losing the title to Jerry Lawler in Memphis. He would return to the WWF (this time as a free agent, singles star) and achieve the greatest success of his career. Vignettes hyping him as ‘Mr. Perfect’ began to air on World Wrestling Federation television. In the videos, he would play flawless rounds of golf and throw touchdown passes to himself… all to stress that, as an athlete, he was ‘Absolutely Perfect’. His mix of Science and Showmanship crafted the character, and he would go on to capture the Intercontinental title twice. during his run with the company, he established himself as one of the finest technical wrestlers of his generation. In WWF tenure, he would originally be managed by ‘The Genius’. Lanny Poffo, and feud with Hulk Hogan. Their animosity reached a fever pitch when Hennig famously destroyed the Hulkster’s belt on Saturday Night’s Main Event, but eventually went nowhere. Briefly, Hennig stepped away from the ring due to injuries. For a time, he became an announcer and manager and was the second for Nature Boy Ric Flair, alongside Bobby Heenan. Eventually, Hennig would return to the ring, but would find a new home elsewhere. 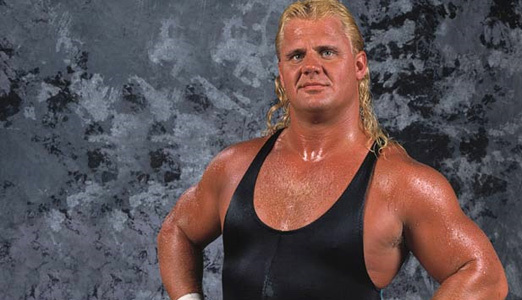 Hennig signed with WCW in early 1997, no longer going by Mr. Perfect’, and wrestling there simply under his real name. After a time as a ‘tweener in the company, he began to align himself with The Four Horsemen. He was Ric Flair’s handpicked choice to be the group’s next member and after some negotiations with The Nature Boy, would agree to take Arn Anderson’s place in the Four Horsemen as the ‘new enforcer’. However, a swerve occurred that was meant to bury the old school faction for good. At Fall Brawl during their War Games match, Hennig turned on the Horsemen to join the nWo. To solidify his entry into the group, he slammed the steel cage door into Ric Flair’s head. Hennig won the WCW United States Championship shortly after Fall Brawl and held it until that December’s Starrcade when he was defeated by Diamond Dallas Page. Hennig spent most of 1998 out of action, and was soon kicked out of the nWo upon his return. In 1999, he was a part of the heel West Texas Rednecks faction with Barry Windham, Kendall Windham, and Bobby Duncum, Jr. and feuded with the No Limit Soldiers led by rapper Master P. Unfortunately for the best laid plans of management, the company’s traditionally southern fan base cheered the heel country singers, and the angle was scrapped. After WCW folded, Hennig returned to the WWF at the 2002 Royal Rumble. Once again adopting the Mr. Perfect moniker, Hennig finished third in the Royal Rumble match. 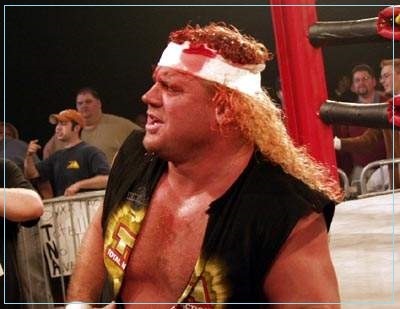 After his impressive showing, he was signed to a contract with WWE, but in May 2002 he was one of the individuals who took part in the infamous “Plane Ride from Hell”. On the flight, Hennig got into a physical confrontation with Brock Lesnar, and the two nearly rolled into the plane’s emergency door. After being let go for the incident, Hennig moved on to Jeff Jarrett’s upstart promotion, TNA. He failed twice to win the NWA world title in October 2002, but generally had good success with the company. Entering the company to feud with the heels, Hennig heard the cheers of fans for the first time in years. Just hours before he was to promote an event with Jimmy Hart in Tampa, Hennig was found unresponsive in his hotel room. The Hillsborough County Medical Examiner’s Office determined acute cocaine intoxication to be the cause of his death. 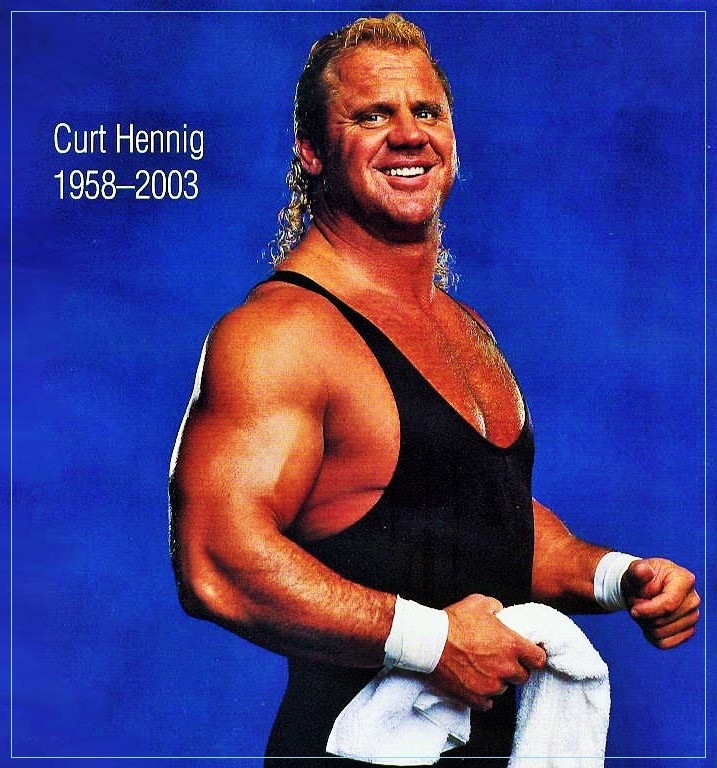 Curt Hennig was laid to rest at Gethsemane Cemetery in New Hope, Minnesota. He was just 44 years old at the time of his passing.